She has her sights set on competing at a third Olympics in 2020 and Australian Opals star Rachel Jarry says the University of Canberra Capitals is the club to kick-start her journey to Tokyo. Jarry was today unveiled as the UC Capitals’ first signing for the 2017/18 WNBL season. The 25-year-old has just finished playing her first season in France’s Ligue Feminine for Lattes Montpellier. She departs next week for the United States, where she’ll contest the WNBA championship with the Atlanta Dream before returning to Canberra to take up a one-year deal. Jarry said the opportunity to join a strong, professional team and improve her game under head coach Paul Goriss made Canberra an attractive destination. “Tokyo is my goal,” Jarry, who has previously played for the AIS, Melbourne and Dandenong in the WNBL, said. “It’s definitely what I want to do and being here at the UC Capitals is going to help me on that path. “I think my versatility and leadership are strengths that I will bring to the team. 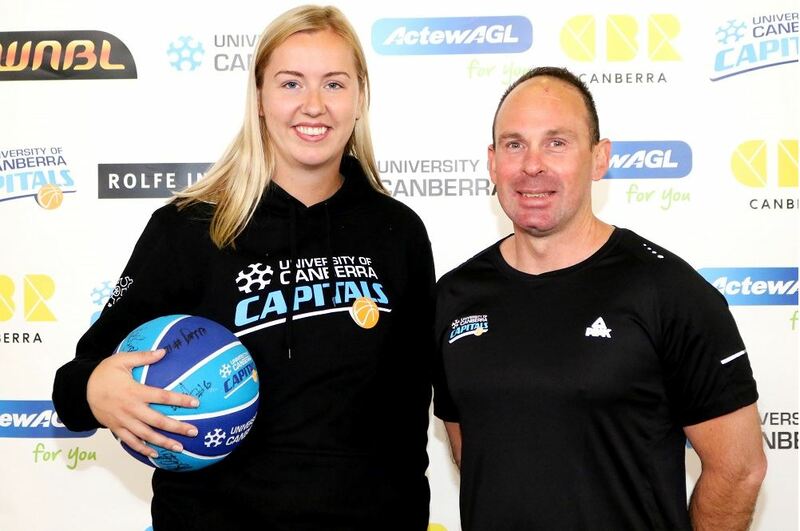 There is some great emerging talent in Canberra so I’m very excited to join the UC Capitals and contribute as best I can.” Jarry, a small forward, will bring to the UC Capitals the defensive, rebounding and shooting ability that has seen her succeed at every level of the game. She was part of the Australian Opals team that won bronze at the 2012 London Olympics and she played in the side’s Rio de Janeiro campaign last year. Goriss said her wealth of experience made her an important signing. “Rachel offers a variety of skills, from her defence and rebounding to her shooting and ability to get to the basket,” Goriss said. “Losing long-time stalwart and captain Carly Wilson to retirement, we identified early on that we needed a player with Rachel’s experience and leadership to add to our roster.” Jarry won a WNBA championship in her rookie year with the Minnesota Lynx in 2013 before returning to Australia to play for the now defunct South East Queensland Stars in the WNBL. “Playing again in the WNBA is going to put me in good stead to come back and perform my role at the Capitals,” she said.